Meritus Business Solutions is delighted to announce its partnership with bpm’online. Sharing common values of excellence, expertise and innovation Meritus Business Solutions and bpm’online are committed to empower clients with the intelligent platform for CRM and business process management that helps businesses manage the complete customer journey and accelerate sales, marketing, service and operations. With the SaaS market to surpass $112.8 billion by 2019, cloud-based CRM solutions will accelerate digital transformation of companies providing them with the needed level of agility and flexibility to constantly reinvent their organizations in order to meet the needs of the ever-demanding digitally native customers. Bpm’online products include out-of-the-box best practice processes for marketing, sales, and service, which make it easy for businesses to jump start using the system and implement top tier processes in their day-to-day operations for enhanced customer experiences. Unlike traditional CRM systems, bpm’online allows for accelerating key business processes quickly and easily equipping companies with the agility needed to constantly test different approaches and define the most efficient ways of communication with clients. 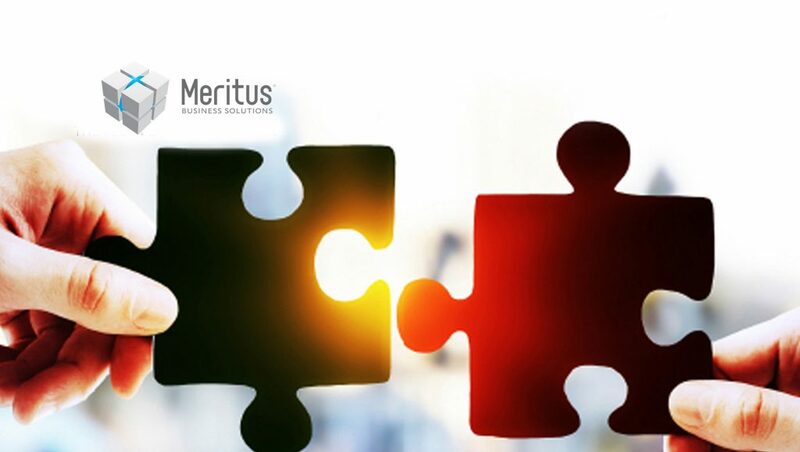 “At Meritus, we are trusted by our customers to implement solutions which streamline their business processes. Bpm’online is an award-winning intelligent platform for CRM and business process management, which has received multiple recognitions from Gartner and Forrester. We believe the approach of intelligent business process automation combined with a unified CRM will allow our customers to rapidly achieve their goals,” said Barney Holmes, co-founder and partner at Meritus Business Solutions. “Bpm’online is a great product for the mid-to-enterprise sized customers we support. Low-code modifications for the vast majority of needed personalizations, while enabling complex customizations that allow regular upgrades, meet the demands of customers today,” said William Zarbock, co-founder. “In today’s highly competitive business environment, more and more companies demand intelligent solutions for CRM and business process management to help them streamline customer-facing processes and gain a genuine competitive advantage to boost profits and more effectively engage their customers. With a strategic alliance of Meritus Business Solutions and bpm’online, more businesses worldwide will have an opportunity to benefit from the top-notch intelligent tools designed to streamline, orchestrate and accelerate key business processes,” said Alex Donchuk, Global Channel Director at bpm’online.